Braun Strowman had a dominant showing last night at Survivor Series leading Team Raw to victory over Team SmackDown. During the match, Strowman tied the WWE record for most eliminations in a traditional Survivor Series match with four. That ties Roman Reigns’ 2013 record and Aja Kong’s 1993 record. Strowman continues to dominate the WWE history books. He also holds the record for most eliminations in a Royal Rumble, as he scored 13 at the Greatest Royal Rumble in April. Also, Strowman eliminated five men in the seven-man Elimination Chamber in February. Strowman is now preparing for a feud with acting Raw General Manager Baron Corbin, which will likely result in a match between the two at the Tables Ladders and Chairs pay-per-view next month. By playing (reasonably) well with others and scoring four consecutive eliminations for the Raw Men's Survivor Series team last night, Braun Strowman dealt SmackDown LIVE its fourth loss of the night, but rather than applaud The Monster Among Men, Acting Raw General Manager Baron Corbin instead attacked the behemoth from behind, celebrating with Bobby Lashley, Lio Rush and Drew McIntyre and having a good laugh at Strowman's expense. He won't be laughing long, however. 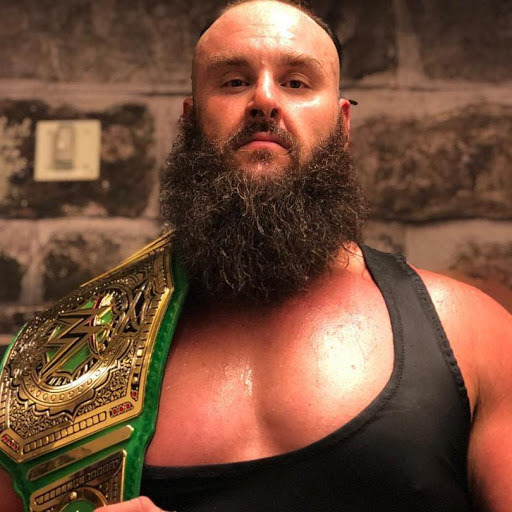 Per Raw Commissioner Stephanie McMahon, Strowman will get a match against Corbin in the very near future, as well as a Universal Championship Match against Brock Lesnar. When will both opportunities arise? Perhaps we'll find out tonight.